When it comes to academic success, reading and comprehending text is vital. 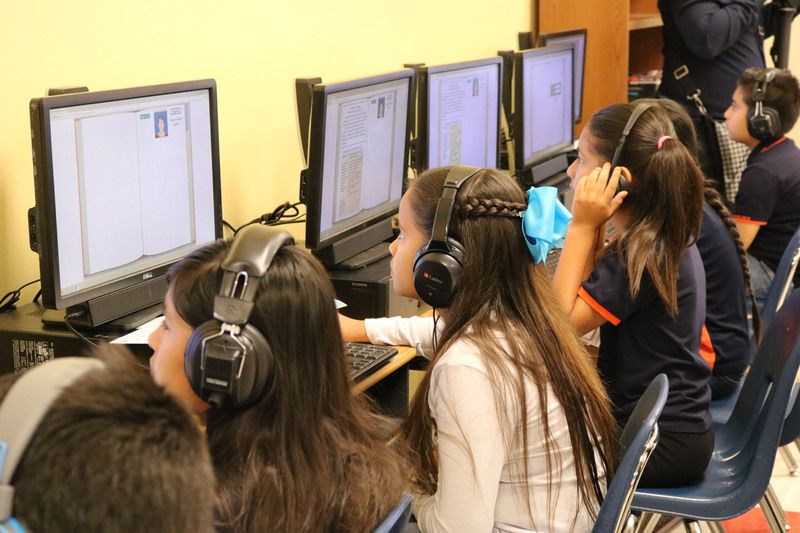 A program, administered by an expert in literacy at Texas A&M University and her research team, has proven that by showing an almost double-digit jump in test scores at an elementary school in Brownsville. In 2014, Dr. Kay Wijekumar, professor of curriculum and instruction, received funding from the U.S. Department of Education to help teach students in high poverty neighborhoods to recognize underlying text structure, or how information within a written text is organized. After presenting the proposed two-year research plan to Brownsville ISD, several schools in the district were assigned to participate. One of those schools was Keller Elementary. 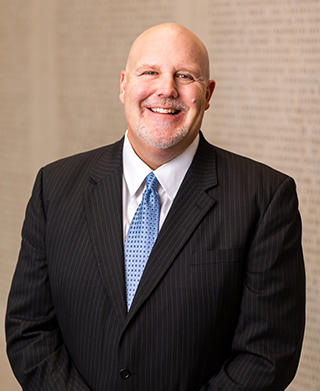 “What we have shown this last year in schools like Keller is that now we’re able to see one whole grade level improvement in reading comprehension on their state standardized tests. That’s what’s really phenomenal for us,” explained Dr. Wijekumar. The first round of professional development began in January 2015. Javier Garza, principal of Keller, Delma Perez, Dean of Instruction at Keller, and all fourth and fifth grade teachers actively participated in two days of professional development. Throughout the spring semester, the group met regularly with the research team to discuss future implementation. When the intervention was first introduced, many teachers were doubtful. In 2014, Dr. Kay Wijekumar created a program to increase students' academic success in reading. Everything changed once implementation began and the teachers saw how committed the administration was to this program and to teacher and student success. “[Javier and I] both wanted to learn it just as much as the teachers did. We both attended all the professional development sessions and we both asked for the support. We sat with teachers if they had questions,” Perez explained. The teachers recognized the administration’s team mentality and quickly began working together to share ideas and collaborate on what worked and what did not. And that teamwork resulted in success. Because of the success at the fourth and fifth grade level, teachers in lower levels are wanting to get involved. Aside from the professional development provided for the teachers and administration, Dr. Wijekumar and her team participated in several in-school coaching days where they co-taught with the teachers. The goal was to provide the teacher with an opportunity to see the intervention in action in their content areas. 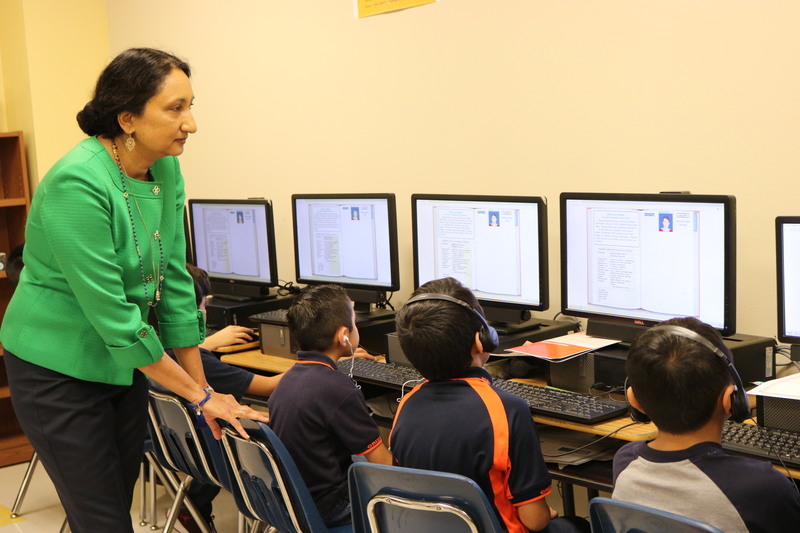 Students at Keller Elementary work hard to improve their reading comprehension through Dr. Wijekumar's ITSS software. During the intervention, there were concerns from teachers about how to implement certain aspects of text structures along with teaching the textbook. Based on those questions, Dr. Wijekumar and her research team reviewed the textbook and other materials used in the classroom and developed a supplement for each chapter to show teachers how text structures could be utilized. The team also developed additional lessons for teachers to use as reference materials in their classrooms. The students also used Dr. Wijekumar’s Intelligent Tutoring for the Structure Strategy (ITSS) software for one class period each week, approximately 45 minutes, for 40 lessons. ITSS was designed to improve reading comprehension for students in fourth through eighth grade – a time when students are expected to read and process information on their own in every area of the curriculum. ITSS, with a combination of lessons in the classroom, have increased confidence of students at Keller. “I’ve seen the growth and the understanding and the willingness to participate when we’re doing this program. Students are not hesitant to go ahead and shout out what they think,” added Sierra Pilar, a fifth-grade teacher at Keller. The idea of researching text structures was first developed in the 1970s when five text structures were identified. Initial research involved adults and high school students. In the early 80s and 90s, the research expanded to lower grade levels. Research showed that when children begin facing content-area text, they needed to know text structures in order to fully comprehend what they were reading. In 2000, Dr. Wijekumar decided to take that research one step farther. She began working on ITSS. The idea was to give instruction to the students one-on-one, leaving the teacher out. Research showed a third of a grade level boost in performance on reading comprehension standardized tests. However, when involving the teacher and providing consistent instruction, the performance doubled. For Dr. Wijekumar, teaching students about text structure goes beyond academics. She believes what these students learn now will help them throughout their entire lives. The grant Dr. Kay Wijekumar received is one of many received by the college over the last 10 years, totaling $57 million.